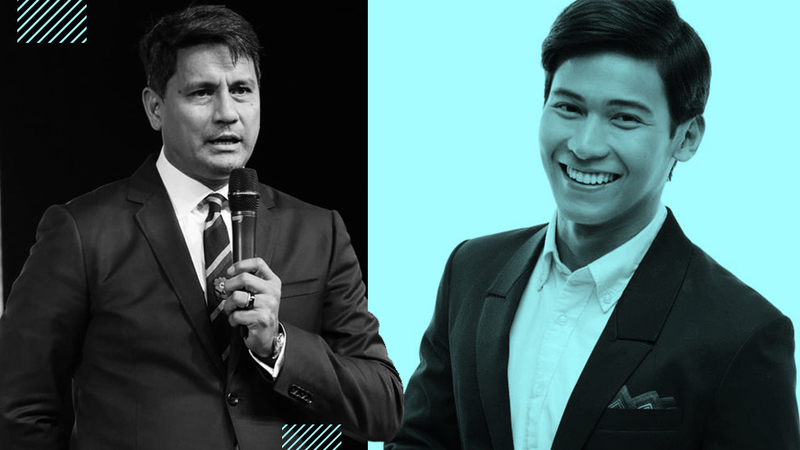 The celebrities visit Manila for the wildly popular Netflix show (and some halo-halo). Two of the biggest stars from Netflix’s hit psychological thriller series You visited Manila to talk about the show, interact with their Filipino fans, and even share a large glass of halo-halo with each other. Penn Badgley, who plays the anti-hero protagonist Joe Goldberg, and Shay Mitchell, who plays the sassy villainess Peach Salinger, arrived in the country on January 14. Even before You, Badgley and Mitchell both already have a pretty solid fanbase in the country, thanks to their previous projects Gossip Girl and Pretty Little Liars (PLL). Esquire sat down with the show’s stars to learn more about their characters and motivations, as well as discuss their thoughts on the implications of the popular American thriller series on audiences. You is a story about the dangers of obsession, victim blaming, stalking, and invasion of privacy. It starts off with Joe, your typical guy-next-door protagonist, who falls in love with aspiring writer Guinevere Beck (Elizabeth Lail). It could have been your typical romantic story, but before you know it the whole thing unravels into a riveting obsession story marred with murder and psychological torture. Both Joe and Peach are kind of evil throughout the show, and they do nothing but emotionally abuse Beck. Still, perhaps because of the brilliance in portrayal and depth of characterization, a quick look on the Internet shows how many viewers have fallen into a hate-to-love attitude toward them. “I would say what brought me to playing Peach was the fact that she was different from any other character I've played. And I wanted to play the bad girl, for one,” Mitchell said. 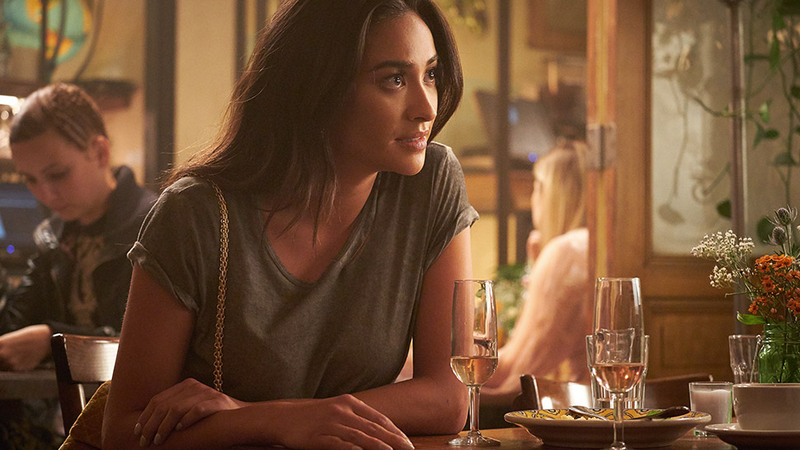 Though PLL’s Emily Fields and You’s Peach Salinger do share a similarity (yes, they are both into women), the two are very different especially in their motivations. Was her transition from being the bullied character in PLL to becoming the big bully in You difficult? “She was a combo of my imagination, but also girls that I went to high school with—just mean girls that we all know of, mixed with fake confidence but really hiding a lot of insecurity. And that's what Peach is to me. She was extremely insecure so much so that being in her own skin was uncomfortable,” she said. Mitchell addresses the crowd during the 'In Conversation with You' panel at The Peninsula Manila. 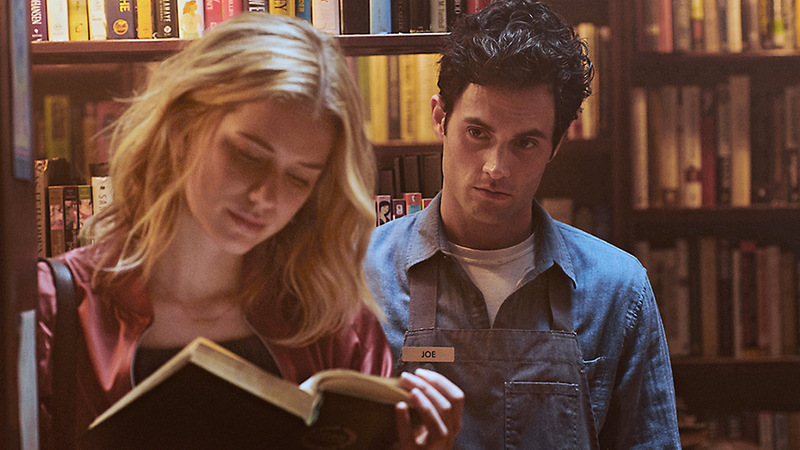 Unlike Mitchell, however, Badgley had a hard time accepting and internalizing the role of creepy bookstore manager Joe. “I was really resistant to the idea, in a way. I actually really thought maybe that it was something that I wouldn't do. Because I like the project, but the idea of playing Joe day in, day out for six months, for maybe six years—who knows—was a chore,” he admitted. 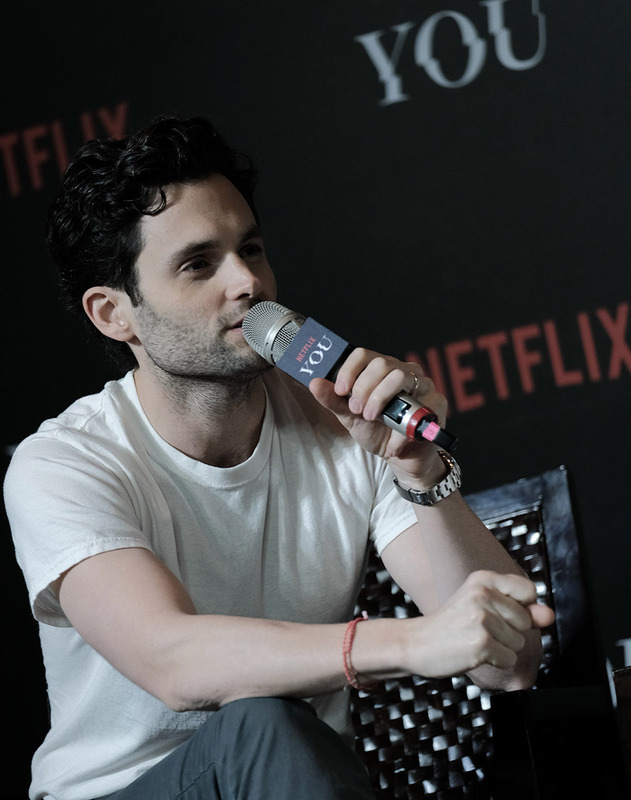 In his Twitter account, Badgley openly criticizes and expresses his dislike toward his own character and the means he uses to justify his own definition of “love.” In the end, what brought him to wholeheartedly play the sociopathic anti-hero were the incisive conversations he had with the show’s creators, Sara Gamble and Greg Berlanti. “My conversations with them [were] about how deep these things might be explored over time. And I think the conversations we're having around the show are interesting so I can see that playing out now,” he said. The whole premise of the series revolves on a single question: What would you do for love? You does not essentially offer something new. From its familiar set of characters to its conventional romantic thriller plot, the whole thing can come off as dangerously close to being campy. But what it offers, instead, is a whole new perspective on dealing with traditional tropes and turning them into something that sparks excitement among the viewers. Social media and its usage throughout the whole series was an integral theme in the show (it was one of the methods Joe used to creep on Beck). Mitchell, who’s worthy of the title social media star for her 22.1 million followers on Instagram alone, shared what she thinks is the best way to use social media in this day and age. “Some of us have healthy relationships in social media and some people don't. I think that the way you use it can determine that. When you are spending so much time obsessing over other people's lives and less on your own, that's when it's not healthy. It's leading to a lot of anxiety and depression in young girls and guys, because they try to compare [themselves] to these people and these photos that they see online. You're not even remembering that they've been photoshopped, edited, all this stuff,” she said. Still, a lot of viewers wonder how things will play out, especially with how things ended in the first season. Is there a chance for Joe to somehow redeem himself in the next season from all the nasty, evil things he did? On working with Mitchell, Badgley says: “I love working with Shay because we’re different, like the ingredients of halo-halo. Unity in diversity." “I'm not interested, none of the writers are interested in Joe's redemption. That's not the point of this show. If it was, I think it would be too problematic,” Badgley said. “Because we'd be seeing just an evil white man looking for forgiveness. And if we'd be willing to give it to him again, in 2019 and 2020, we don't need any more of that. “It's been proven time and time again that charming, powerful—a lot of them—men are capable of really awful things. And we're also often willing to sort of forgive them almost every step of the way. So this is playing with that conversation and contributing to that conversation, hopefully,” Badgley added. “Maybe, like, [in the form of Peach’s] long lost twin sister Lychee,” she joked playfully.